A big thanks to our Minister for History, Leonhard Balk, for coming up with this idea. As you may have heard, Sight & Sound recently released their top ten films of all time lists by directors and critics, released every decade. 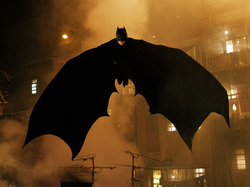 This year’s list was particularly significant as Alfred Hitchcock’s Vertigo finally dethroned Citizen Kane. Now, us Movie Parliament ministers will release our own personal top tens and comment on the lists provided by Sight & Sound. 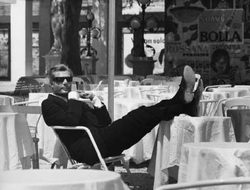 Not only Fellini's most personal and most revered film, but also arguably the best film about film ever made, “8 ½” is a work of art about making art. 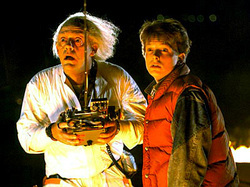 It is by far my favourite film, but also I believe it to be an essential and influential work of art. Without it, the cinematic landscape wouldn't be the same. And that is why “8 1/2” is a great film. Francis Ford Coppola's struggle to make “Apocalypse Now”, and the documentary created about it, has become legendary. The film is a true testament to what ends a great filmmaker will go to, in order to fulfil his vision. It is a great film. 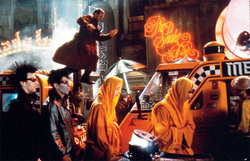 “Blade Runner” is probably one of the few films to ever make the transition from cult film to classic masterpiece. 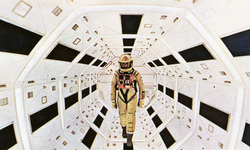 Ridley Scott's commercial flop has stood the test of time to become one of the most loved films of all time. Entertaining and thought-provoking, it blends together genres and styles in a unique and unforgettable way. 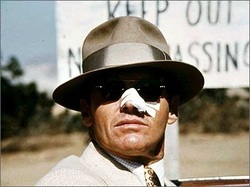 Made after the decline of film noir, “Chinatown” surpasses the status of being a pure homage on the lost genre and actually manages to revive the historic cinematic period, even if just for a short while. The film belongs to a rare breed of perfect films, where every effort comes together to create something unique. 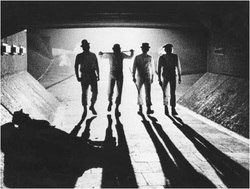 “A Clockwork Orange” shocked audiences worldwide with it's unexpected persuasive power. Provocative, outrageous, over-the-top and yet... relatable and real. The power of cinema: to uncover our greatest fears, to make us judge our humanity. Artistically, this effect is one of the greatest things a filmmaker could ever hope to achieve. Drifting in and out of narrative consciousness, “In the Mood for Love” is a truly transcendent experience. Strangely enough, Wong Kar-Wai's film is a better representation of reality and real emotions than every American relationship drama combined. Through it's atmospheric and meditative approach, the film remains true to the romance, while also not once exploiting the relationship on screen. With today's advanced visual and sound effects, scaring people is no longer a very difficult task. However, back in 1922, a great amount of work had to be put into creating the iconic imagery we remember today. 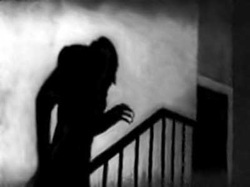 The images in Murnau's “Nosferatu” create a sense of dread and horror unrivalled by anything released today. I knew I just had to include a Bergman film in this list. 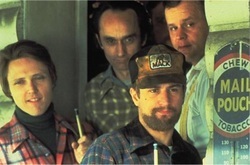 The Swedish director, as well as having a unique visual style, was a true master of the character study. 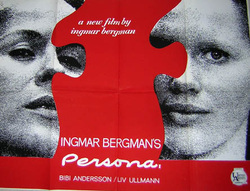 “Persona”, at least for me, is where Bergman really unleashes his two female protagonists with nothing held back, achieving something his other films don't. Visually and technically, this is undoubtedly one of the most beautiful films ever made. 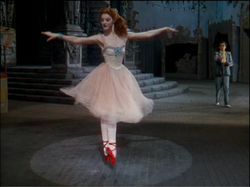 However, what really makes the film great, is that “The Red Shoes”, at it's core, is a film about immersion and dangers that lie within being captivated. 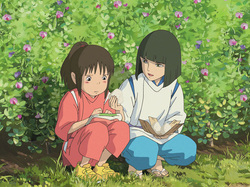 Ghibli films, for me, are pure escapism. And never has a film transported me more into another world than 2001's “Spirited Away”. A great film. I'm amazed to see Pasolini's horrible “Salo, or The 120 Days of Sodom” listed at the same rank as the Marx Brothers' classic “Duck Soup”. Why “Salo” keeps reappearing on polls like this remains a mystery to me. I have never met someone who has liked the film, nor have I ever read a positive review on it. I find it too ridiculous to be shocking and too exploitative to be surrealist. It doesn't belong on this list. 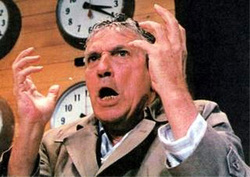 On a more positive note, I'm happy to see the Cronenberg classic “Videodrome” included in the poll. As far as I know, it is the only one of his films to have made the list. I'm a big fan and happy to see his work be acknowledged. Minister for History, Leonhard Balk. I've seen 7 of the critics' picks (I'm missing Searchers, Joan of Arc and 8½). I've seen 6 of the directors' picks (I'm missing 8½, Taxi Driver, Mirror and Bicycle Thieves). 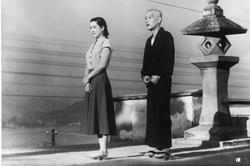 My favourite selections in their polls are Tokyo Story, 2001 and Sunrise. My least favourite selection is Apocalypse Now. I've only seen the Redux version, which contains additional scenes including one in a French plantation. I felt the film dragged along too many times during its three hours and I did not feel moved by the story and characters. I acknowledge "Apocalypse Now" is an impressive achievement but, for instance, I prefer "Platoon" or "The Deer Hunter". What a joy. This film is pure grace, ingeniosity and humor. It's actually very funny and will make you want to get up and dance. I'm a loss at words for a film that blends so much humanity and passion. At first, I was startled by this film, that I enjoyed but not really loved. 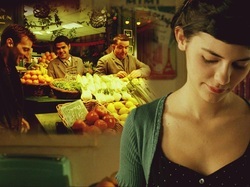 As time went by, I felt more and more connected with Amélie and her feelings. She wants to help people but is too shy to stand from the crowd. This film is a truly unique vision by Jean-Pierre Jeunet, it really flows like a big "short film", if that makes sense. Everything is melted so well that, even after a dozen visions, it's rather difficult to remember when a specific scene occurs: was it before or after this event in the film ? etc. In the end, I think it's about loving people, opening your heart, and finding that special person that will understand you even when you don't say a word. A group of friends is torn apart by the reality of war. It is one of the only films I know that depicts so well the daily life of its characters and how all their bonds and friendships get destroyed. Christopher Walken is haunting. Robert de Niro is heart-breaking. Women are not forgotten as Meryl Streep gives a superb supporting performance. Much has been said about the russian roulette scenes, but the film is much more than that. In modern Tokyo, a young scientist projects her avatar named Paprika in the subsonscient of her patients to cure them from their nightmares. OK, that's it, I won't say more about the plot: this film is full of surprises. It's Japanese anime at its best, when it shows how cinema can entertain and open doors for you. It's one of the best meditations about our society, cinema and Internet I have ever known. 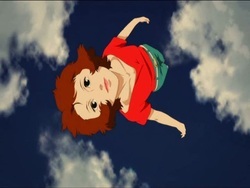 The last film by Satoshi Kon. This film is like a milestone, gigantic and sometimes intimidating. The Tree of Life, Death and Rebirth. The clues are here, and once you're immersed, you will never forget this trip. It's a devastating love story between a blind girl and a hobo, played by Charlie Chaplin. One of those timeless tales that will make you cry (at least, for me it did). But the main part of the film is rather comedy and light-hearted, you will have your share of laughs, too. Silent cinema has an indelible power. 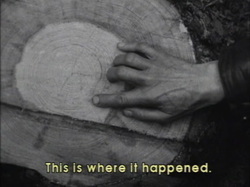 This experimentation by Chris Marker is curious, mysterious and once you get to the twist ending, you will never forget it. Although you may have been spoiled thanks to "12 Monkeys", the plot remains suspenseful. Almost entirely made of still frames and voice-overs, and with a running time of 28 minutes, it shows that you don't need lengthy dialogues or explanatory scenes to create a surprising world. The French title can be literally translated to "The Pier". This film directed by Alain Berbérian is the first big-screen project of the comic troop Les Nuls. Famous for their parodies, fake news shows and impersonations on French TV channel Canal+, the trio burst in cinemas in 1994 with this hilarious pseudo-horror tale. The pic starts with the ending of "Red is Dead", a silly Z horror flick starring a communist serial killer maybe inspired from Jason Voorhees. We then realize the film was actually having a press screening at the Cannes Film Market. Odile Deray, the press attachée, is struggling to sell the film to distributors, when a real-life serial killer enters Cannes and starts a deadly rampage among the projectionists of "Red is Dead". Soon we'll find among other things: a stupid bodyguard, an even more stupid star of "Red" coming to Cannes, parodies of then-hits ("Basic Instinct", "Terminator 2", "Pretty Woman"), and innumerable puns and gags that evoke the Monty Python. You will even see a silent sequence, mime artists protesting against sound cinema, and a very young Michel Hazanavicius : who knows how this could have lead to "The Artist". It's the film I've seen the most. This film would make a wall cry. It's the simple story of two elderly people visiting their children in the big city. But as time passes, we realize how distant the younger members of the family have become from their parents. With Ozu's traditional ellipses and slow-paced situations, it's a film that's never boring but unfolds itself to us, in a very refreshing way. The camera moves only once, and this choice of mise-en-scène, as well as the setting of that particular shot strike me as a splendid artistic choice. Minister for Foreign Affairs, Arnaud Trouvé. Now, being seventeen years old I have not seen all the films I want to have seen in order to properly prepare my top ten. However, this is my tentative top ten films of all time. I have tried to include a balance of personal favourites that have been overlooked in the actual Sight & Sound poll along with some accepted classics. Ultimately the approach I took to this was, which DVDs would I grab first without thinking if I were told I would be on a desert island for the rest of my life with only ten films to accompany me? Like The Shawshank Redemption, this is one of those perfect films that I could watch again and again. A very underrated film in the sense that its screenplay and performances are never given the critical credit they deserve. If this film had pulled off deep drama as well as it pulls off comedy, time travel and heart, it would be near the top of every “Best of All Time” list. I’m a cheating a little bit here by including three films in one, however if The Godfather & The Godfather Part II were allowed to be packaged as one film in previous Sight & Sound polls (More on that later) then I’m doing this. I know that for many this will be a ridiculous choice, however, for me, this is the best trilogy of all time. I grew up with these films and along with Hot Fuzz; they are possibly the most influential films in terms of making me the film fan I am today. 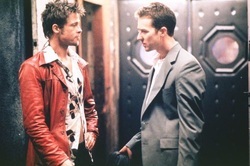 David Fincher’s best in my opinion (Although The Social Network is slowly but surely threatening that spot for me). A film that is genuinely unique and has what is in my opinion one of the best endings of all time. Another “obvious” answer; however it is obvious for a reason. Lines and scenes from these two films will stick with me for the rest of my life. Very much a template for modern visual storytelling in all genres. Probably my most-watched film and therefore I had to put it in. 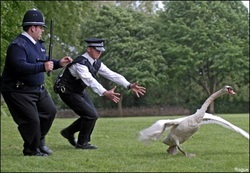 With my list I wanted to strike a mix between personal favourites that didn’t and wouldn’t get love in these type of polls as well as the undisputed “classics” Like Scream, I love the whodunit aspect of Hot Fuzz and just like Scream it both comments on, embraces and excels within a particular genre. Only seen this once and therefore this is a very tentative addition, as I don’t know how it will personally fare upon repeat viewings. However it says something about the film that after just one viewing, I am prepared to put it in my top ten. This is arguably more resonant now than it was when created and has some of the best scriptwriting of all time. In fact any “Best Screenplays of All Time” that doesn’t include Network near the top, or at the top, shouldn’t be taken seriously. Part of this is a personal thing, as my first viewing of Scream was one of the best experiences I have ever had watching a film. However for me, currently, this is the ultimate horror film. Plus it has what is in my opinion one of the best opening scenes of all time. A near-perfect, if not perfect film. Yes it may be a predictable and clichéd answer, however it is number one on IMDB’s top 250 for a reason. It is inspirational and emotional without ever being cheesy. 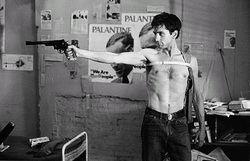 Had to put a Scorsese in here and having just watched it again recently, I will tentatively go for Taxi Driver. 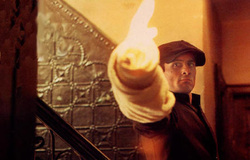 A very depressing and dark film, however one of the best cinematic character studies of all time, containing an historic performance from Robert De Niro. Travis Bickle is one of the most fascinating and memorable cinematic characters of all time and I love the moral ambiguity of the film’s conclusion. A film that is very much of its time and place, yet due to the strength and nature of its direction, story and performances, very much has the potential to be (And some would argue already is) a timeless classic. Picking my tenth spot I faced a difficult decision. Do I put in a Kubrick? If so do I go for The Shining or Dr. Strangelove? Quentin Tarantino is one of my favourite directors and also hugely influential in making me a film fan…do I put in Reservoir Dogs or Inglourious Basterds? Surely I must have a Hitchcock, I want to put in Psycho but have only seen it once and that was a long time ago. Steven Spielberg, another hugely influential filmmaker, do I put in Raiders of the Lost Ark? Cloverfield was one of the first films that made me pick up a camera, do I include that? 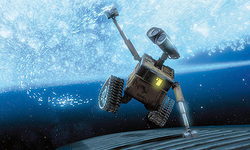 What of Wall-E? My favourite animated film. Only seen Apocalypse Now once yet feel that could be a top ten contender on repeat viewings. Unforgiven, Black Swan, Inception, Drive…decisions. Was between this and Unforgiven as the animation and western had yet to receive any representation on this list. Wall-E has one of my favourite screen romances of all time, something hugely commendable given that it takes place between two robots that do not speak English. This is one of those films that I look forward to showing my children if I have any and that timeless quality of it is probably what tipped the balance in its favour. My main appreciation for this poll resides in it giving me a guideline and list of films to check out in the quest to further develop and strengthen my cinematic knowledge. My qualms with the poll reside in the films I have listed above either not being present or as high as they should. Now, it’s your turn. Go to the Your Say section and/or our forum and give us your top ten films of all time, comment on ours and give us your thoughts on the Sight & Sound poll. "Enjoyed your Top 10s very much ... but no room for Wim Wenders' Wings of Desire!" On the one hand the artistic, on the other the popular as well as frankly (in some cases) the obscure and shocking! The 3 lists complement brilliantly"